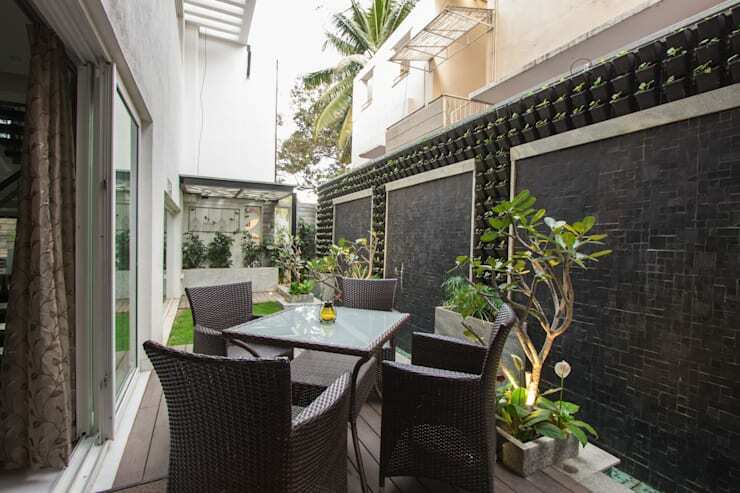 There is no better place to rest than a garden or a terrace. Today we offer 14 interesting ideas for organizing even the smallest spaces of this type. See for yourself how easy it is to create a comfortable corner even in unsuspected areas. A large space is ideal for entertaining friends or enjoying the beautiful sunsets. In this picture, we can see the harmonious combination of wood and concrete which looks amazing. Along with this, it also has a great bonfire in the center. Bulky pillows and subdued lights make for a perfect decoration. It allows you to sit by the fireside and have a good time. 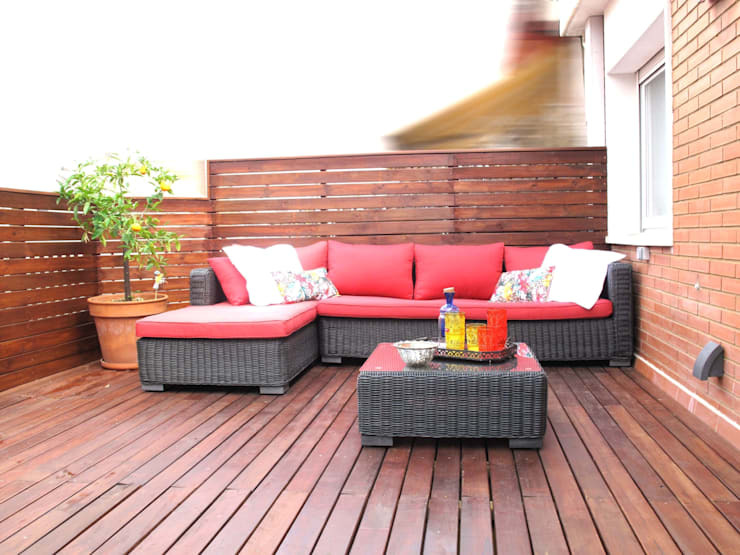 A wooden deck is a perfect place to relax in the sun. This material is the most luminous, warm and does not reflect back, thus, creating a pleasant atmosphere. Trees planted symmetrically provide shade, so you do not succumb to sunburn. A natural stone flooring pays tribute to a small area and gives off a charming vintage atmosphere. Delicate black wrought iron furniture, emphasizes the attention given to detail. It is something which is perfect for romantics and lovers of the past. 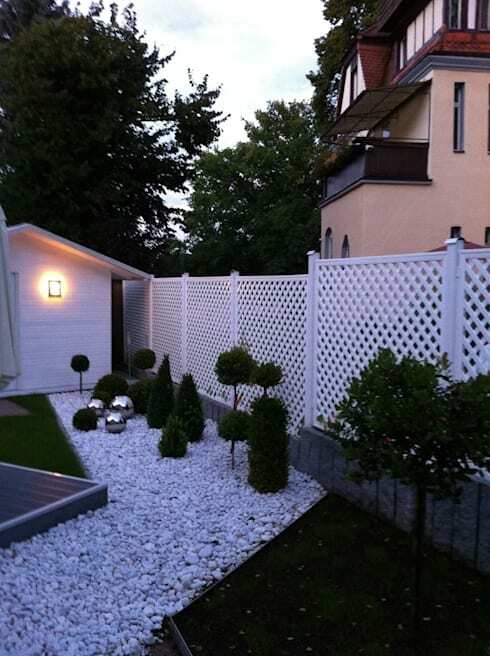 A fence not only protects us from the prying eyes but is also important for the overall security. 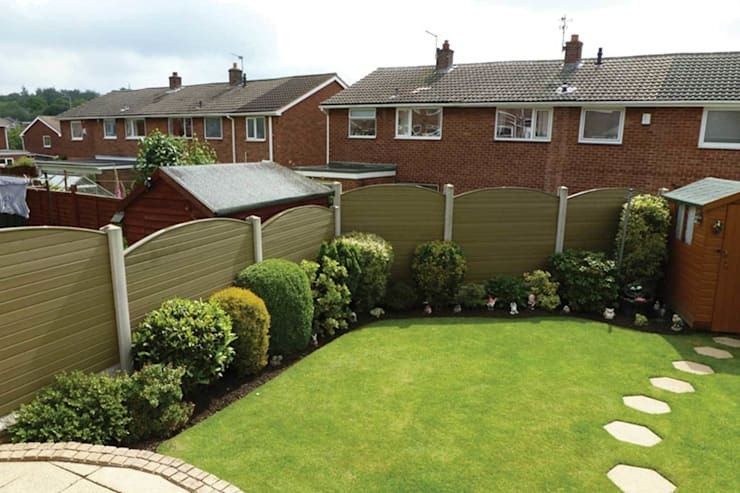 You can select a wooden or metal fence, and should always remember that its strength is essential. 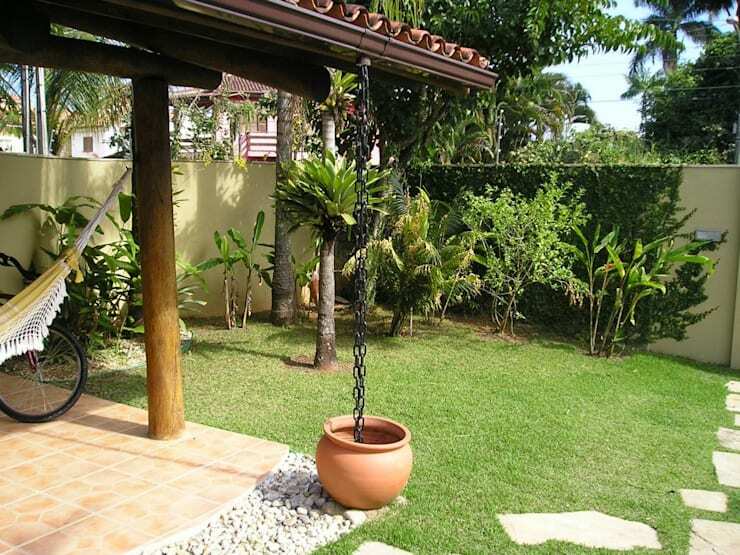 The finer it is, the more space you will gain to make your backyard a dream garden. To ensure comfort and relaxation in the open air, we need comfortable furniture. One can bet on a large designer ottoman on the patio or in the garden, along with contrasting color pillows for added life. No garden is complete without plants. One can opt for the species that they love or that would withstand the climatic condition of the region for a long time. But do not forget that the soil, the resistance and your capacity to maintain the plants are also the criteria to be taken into account while choosing the shrubs, groves, and flowers. 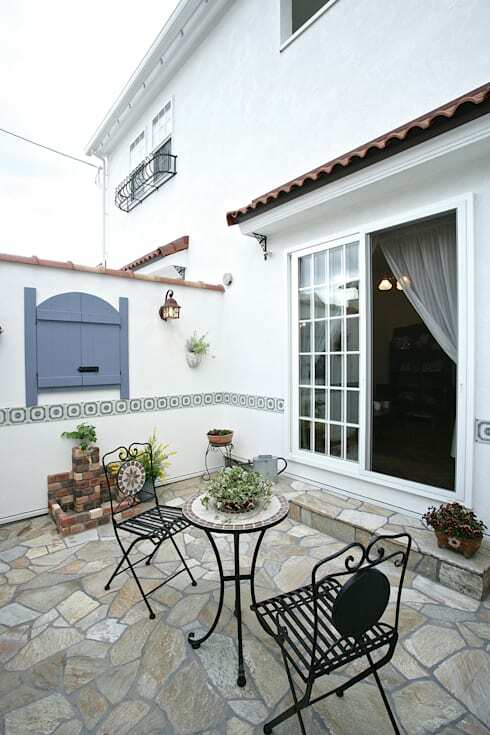 To create a Mediterranean ambiance one needs terracotta pots, stones, wood, warm tones. By decorating your garden or terrace this way you will not have to go for your morning walks on the beaches anymore. 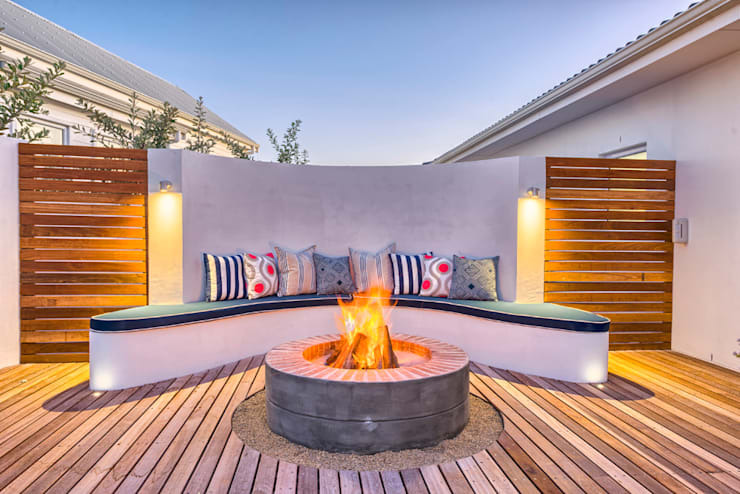 A well-chosen lighting creates a beautiful ambiance in the garden and gives it a unique charm in the evening or night. By using white openwork structures, one can obtain the lightness and the elegance which is always sought after. 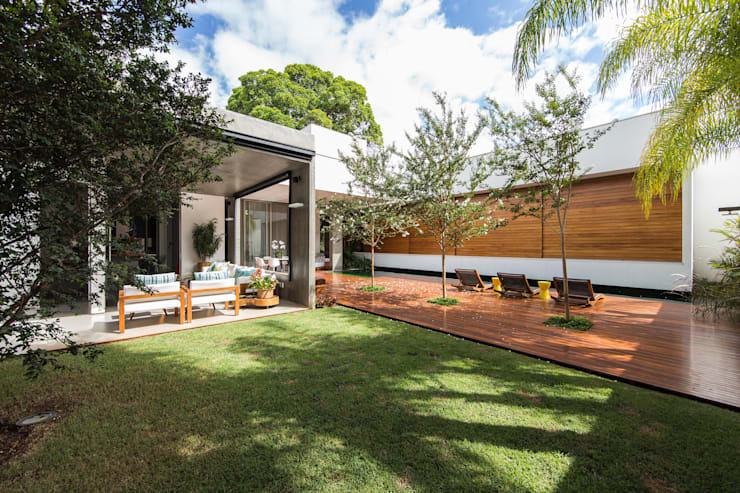 This way, your garden will also be filled with natural daylight. 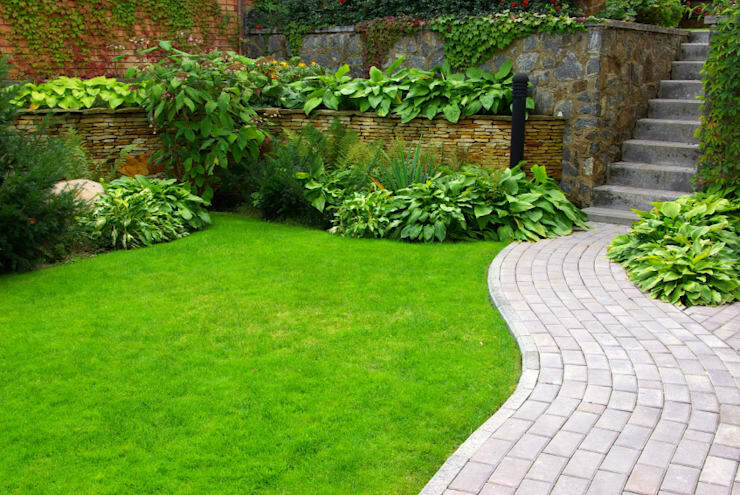 Whatever might be the style of your garden, a small path is a necessary part. 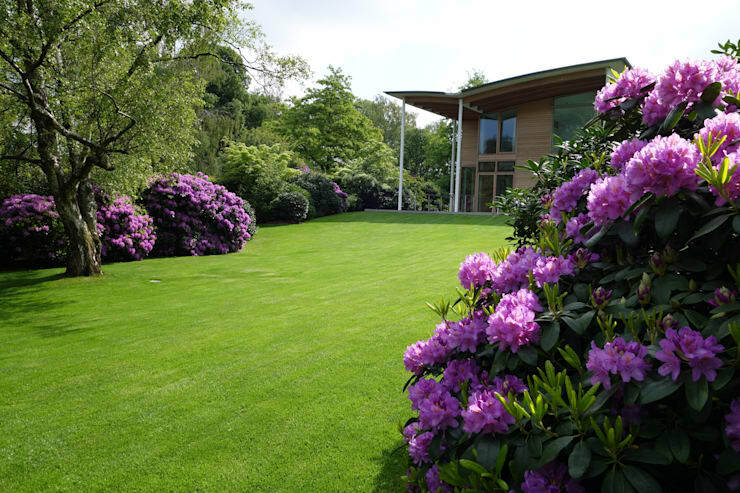 It will not only allow easier movement without damaging your lawn but can also be an additional decoration feature. Once the summer has arrived a little shadow is always appreciable. The umbrella is the king in this quest. Pay particular attention to the larger models that manage to cover the entire terrace, especially if you have children at home and are looking to protect their skins and youthfulness. Also consider different colors and designs that are in harmony with your home, patio, and garden. These are some of the latest elements you'll have to choose from when you're outdoors. 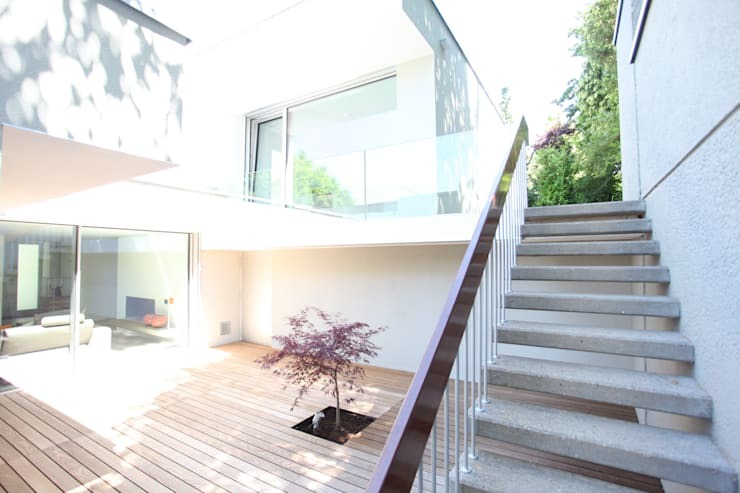 If your terrace or balcony is high, then take the opportunity to install stairs. They are available in various styles or standards and can also be customised using numerous materials. It should not only promote harmony, but must also please you, and be functional in the longer run. The size does not count always. The space available in the first place is not a limit, rather it as an opportunity to be creative. 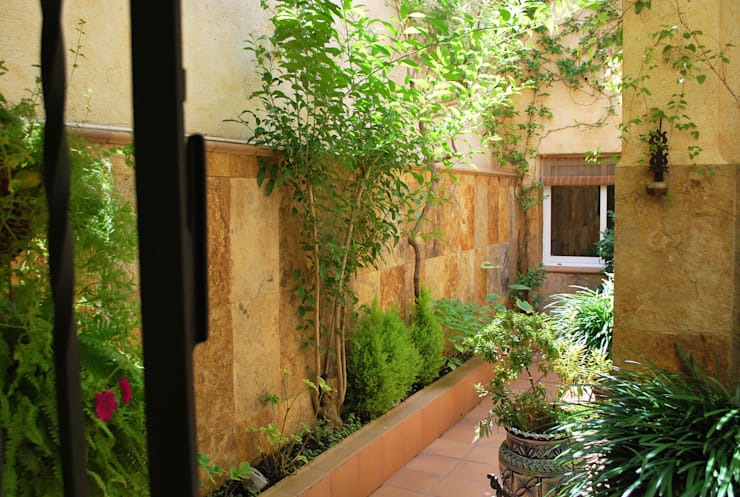 If your garden, patio, inner courtyard is narrow, then there are solutions to make it look beautiful. You can either adapt the size of the furniture or the colour of the decoration to make it look discreet and bright. If your garden is surrounded by a large number of high walls, then adding climbing plants to achieve a natural and colorful touch is an excellent idea. We always want our terrace or garden to look beautiful, bright and memorable. 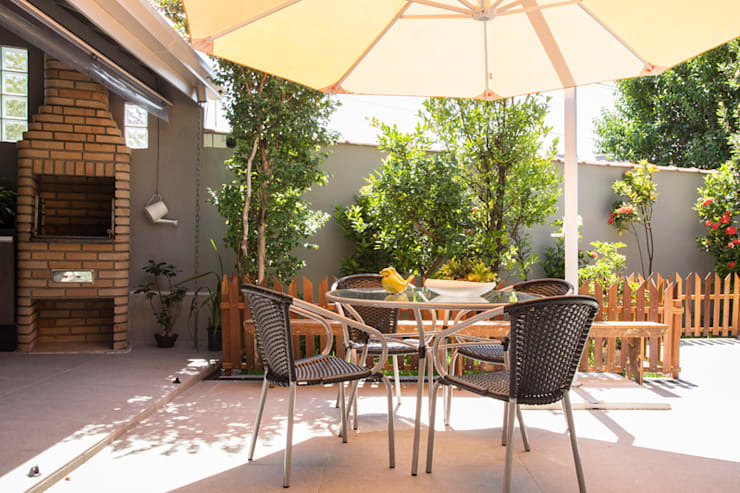 A terrace that can only put you in a good mood is the one with yellow accents, white plaster, wooden shutters and wicker furniture. It looks like it is right next to the sea. Which one of these designs inspired you the most?